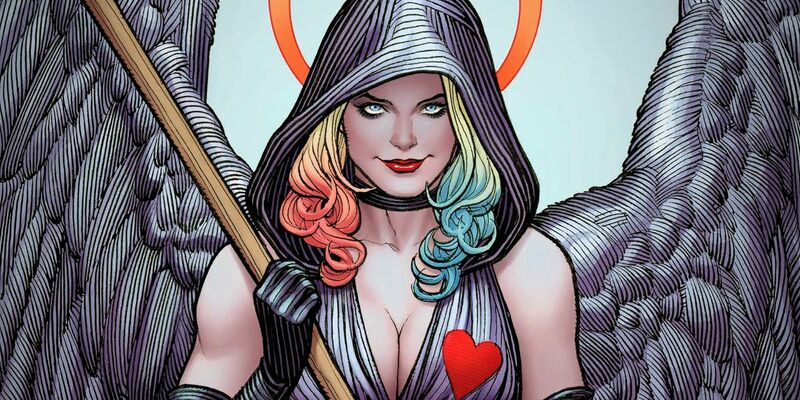 Home Entrepreneur Leadership Harley Quinn Gets New Batman Villain Love Interest? Harley Quinn Gets New Batman Villain Love Interest? 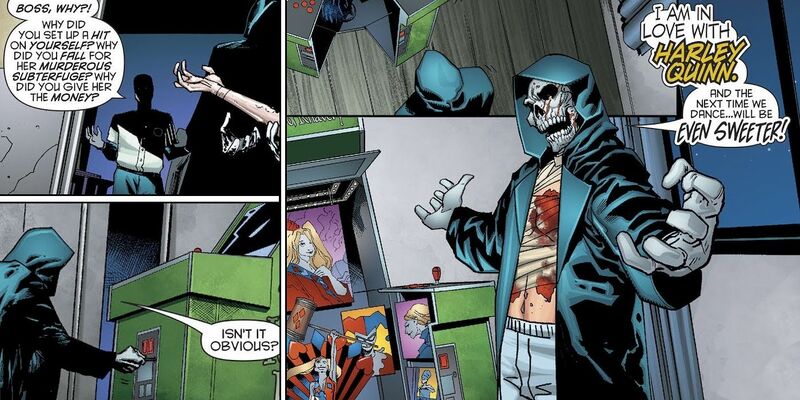 Harley Quinn is no stranger to romance and lovesick creeps, but Harley Quinn #49 has revealed a new supervillain who embraces her deadliness like no other: Lord Death Man. Harley Quinn’s romantic entanglements have always been a huge part of her character, after all, her origin story started with falling in ‘love’ with the Joker. But Harley’s affair with the Joker has been over for a while now, after she realized how badly he was treating her and (literally) kicked him to the curb. Since then, Harley and Poison Ivy have shared some love… but is lord Death Man the first suitor who Harley can’t kill? Aside from long-term relationships, Harley has had a few people develop crushes, the most compatible being the Deadpool stand-in, Red Tool. Not too surprising, as despite her insanity and violence, she’s a real charmer – especially since she started to cross the line into superheroics. Still, Lord Death Man is a challenge she hasn’t often faced. The issue begins with Harley and Lord Death Man locked in a continuing struggle to kill and not be killed, respectively (or so it seems). Quinn has been hired to kill the supervillain, but is finding out hard hard the kill is going to be, since Lord Death Man is essentially unkillable! But with Coney Island home in need of saving, Harley can’t give up, and spends most of the issue giving it her absolute best shot… before blowing him up, burning the remains, and scattering the ashes into a volcano. She gets her money and saves her home thanks to a tall tale about dropping Lord Death Man into a volcano, before it’s revealed that it was Lord Death Man himself who took out the hit in order to tussle with Harley (with whom he is completely besotted). For the unfamiliar, Lord Death Man is a minor Batman villain who has popped up a few times to battle the Dark Knight since his first appearance in the 1960s. Although Lord Death Man has promised that he’ll be back to fight Harley again, it’s unclear if this is the direction of a major new story arc. 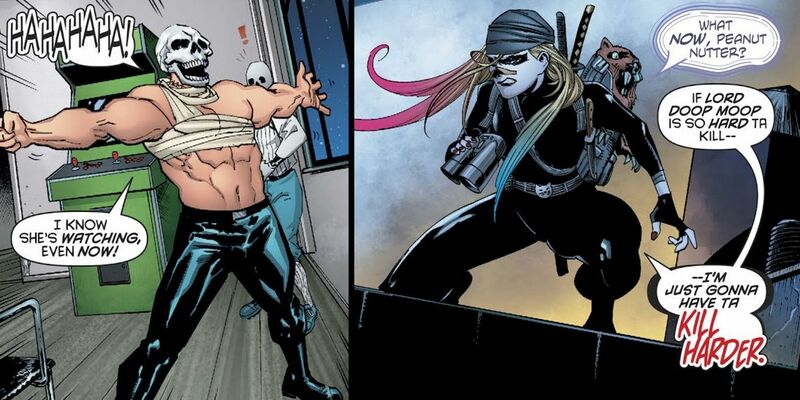 That doesn’t mean this newfound affection won’t continue to impact Harley’s world – or who knows, maybe even flatter her – so it’s likely that Lord Death Man will become a recurring character in the series. Twisted as it may be, his romance is one Harley hasn’t gotten to experience all that often. Of course, given the lengths that he drives Harley to in trying to kill him, his next appearance is something to look forward to no matter what the outcome. Harley Quinn #49 is now available from DC Comics.